Estée Lauder: The 15 Golden Rules of Entrepreneurship | SeedX Inc.
Estée Lauder, the founder of the company that bears her name, was a visionary entrepreneur and a role model. She proved that anything was possible, if you just dared to dream it and had the guts to go for it. She was bold enough to follow her instincts and she revolutionized the beauty industry in many ways. What’s her story and what can we learn from it? 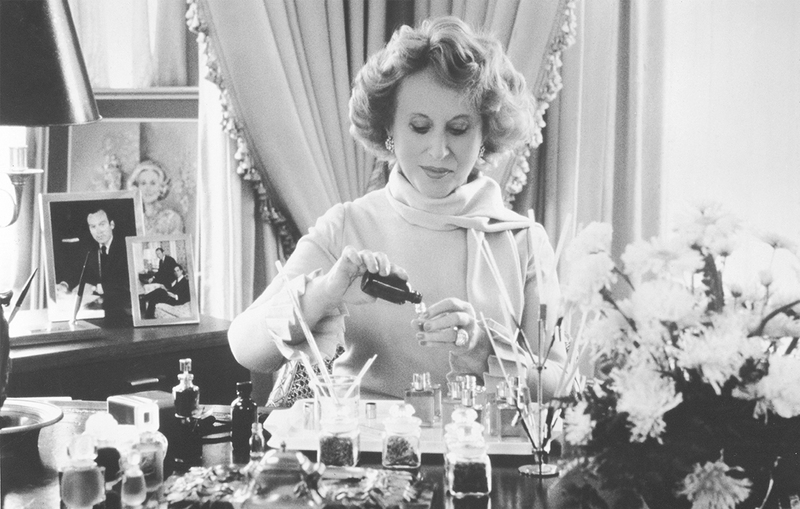 Estée Lauder’s cosmetic empire started as a dream and an extraordinary ambition, and through perseverance, innovative marketing strategies and hard work, this creative visionary became the wealthiest self-made woman in America. The Estée Lauder empire was built on a a single motto – There are no homely women, only careless women. Her strategy was to convince those “careless women” that they could become beautiful with a little help from her product. Estée’s parents, Max Mentzer and Rose Mentzer, were Jewish immigrants from Hungary and Czechoslovakia. Her father owned a hardware store, above which the family lived. So, how did she developed an interest for luxury beauty industry in the first place? Shortly after the beginning of the World War I, Estée’s uncle, John Schotz, came to live with the family. He was a chemist who was making “secret” skin-care products, and he set up a makeshift laboratory in the stable behind the Mentzer’s house. While he was manufacturing his creams, young Estée was always by his side. In her autobiography, she said: “I recognized in my Uncle John my true path. I watched and learned.” Estée learned marketing and merchandising at an early age – determined to become a scientist, she was giving complete makeovers to her friends at Newton High School using her uncle’s products. Before she became a glamorous skin-care specialist, Estée married Joseph Lauder, a successful textile salesman, and moved with him to Manhattan. The couple adopted the original Austrian spelling of their last name, Lauder. Throughout the early years of her marriage, Estée continued to improve and refine her uncle’s creams, cooking up the mixtures on her kitchen stove. Once she had the right products, her goal was creating a market to sell them. At first, she had to give free demonstrations and makeovers at salons, hotels, the subway and in the street. She also started visiting homes of her clients, where she would sell products to their friends and family. Estée realized that social contacts were of paramount importance in the beauty business back then, so she decided to become an elegant lady of refinement and distinction. By dressing like her customers and by imitating their behavior, Estée made a sophisticated lady-of-beauty out of herself. Not long after that, in 1939, her marriage with Joseph Lauder ended. After the divorce, Estée moved to Miami, where she began to sell her skin products to affluent vacationers. She had a few affairs with wealthy men, hoping that one of them could help with her business. After a while, she realized that she missed her ex-husband. When Leonard, Estée’s and Joseph’s son, came down with the mumps, they made a decision to reunite and they remarried in 1942. This led to opening a cosmetic business together – Estée was in charge of product development and marketing, while Joseph supervised finances, manufacturing and administration. They opened the first in New York in 1944. After giving birth to their second son, Estée returned to work shortly and formed Estée Lauder Inc. in 1946. In need of manufacturing facilities, Estée and Joseph transformed a restaurant in Manhattan into a factory. During the day, she was selling products, and during the night, she was cooking the creams and oils on the restaurant’s stoves. At that point, it was the time to make a first huge marketing move, and Estée’s strategy proved to be ingenious. She decided to sell her products only through luxury department stores, and her fist target was Saks Fifth Avenue. She convinced them to place a huge order for her skin creams, which were sold out within two days. Her success with Saks convinced Estée that she could penetrate every fine department store in the United States. Estee’s ambition and dedication began to pay off in the early 1950s, as her line became a regular feature at luxury stores, such as Magnin, Marshall Field’s, Neiman Marcus and Bonwit Teller. But the company was still small, compared to her main competitors (Revlon, Helena Rubinstein and Elizabeth Arden). Estée was determined to change that. Many marketing agencies turned her down because of the small size of their account, so she decided to invest the entire $50,000 advertising budget in producing samples. Those samples were offered through direct mail, charity giveaways and as gifts with purchases. The result? Thousands of new customers! In 1953, the company introduced their first fragrance – Youth Dew – a bath oil that doubled as a perfume. For most women, Youth Dew was an affordable luxury, as it was priced at just $8.50. At this point, sales rocketed from a few hundred dollars a week to several thousand. By the mid-1950s, Youth Dew was generating 80 percent of company’s sales. Estée Lauder Inc. was now officially a multimillion-dollar business. Throughout the 1960s, Estée introduced male toiletries named Aramis, and the first line of fashion-oriented cosmetics, Clinique. This period was an important milestone for the company, as they began to spread their business internationally. Estée convinced Harrod’s in London and Galleries Lafayette in Paris to sell her products. By mid-1970s, her products were on the market in more than 70 countries worldwide. In 1990s, Estée Lauder Inc. became the third largest cosmetics company in America, counting more that 10 000 employees and sales excess of $2 billion. Estée’s children and grandchildren now occupy the executive suites, and she was the company’s creative genius until 2004, when she passed away. Her risk-taking mentality and refusal to settle for anything less than the best made her one of the most successful entrepreneurs and innovators. So, what can we learn about entrepreneurship from her story? Estée had natural instincts for what women wanted and she was a great saleswoman and marketer. She discovered the golden rule of the beauty industry – selling a dream. Her approach was simple, yet very innovative. To make a sell, she knew she had to touch the consumer, to show her the results of using her product and to explain the product itself. Estée revolutionized how products were introduced with her famous “Gift With Purchase” technique, that was later copied by other cosmetic companies, and currently a standard industry practice. Once the Estée Lauder brand began to advertise, she insisted that the print images be both aspirational and approachable. She picked the pale turquoise color for the brand’s jars, believing it conveyed a sense of luxury and matched all bathroom decors. Estée also attended the openings of every new store and she always stayed for a week to instruct her beauty advisors on sales techniques and merchandise display. She was always stylish and well dressed, ready to cross the country to meet with store buyers and beauty editors, or to simply talk to consumers. Decades before social media, Estée ran word-of-mouth campaigns. Her mantra was “Telephone, Telegraph, Tell a Woman.” She believed that woman who liked her products would spread the word. One of Estée’s earliest successes was Youth Dew fragrance, a blend of rose, jasmine, vetiver and patchouli. Until 1950s, most women reserved fragrance for special occasions. They would wait for their husbands to give them the perfume for their birthdays or anniversaries. That’s something that Estée saw as an opportunity – she wanted to find a way for woman to buy their own perfume. In 1953, she created Youth Dew, a bath oil that doubled as a skin perfume. This innovation took the cosmetics industry by storm, changed the way fragrances were sold and transformed the start-up company into a multimillion-dollar business. 15. Train the best sales force. Estée was the entrepreneur who refused to listen to experts or settle for anything less than the very best. She constantly challenged the status quo and she always insisted that the products are made from the highest-quality ingredients. In short, she knew what she wanted and she wasn’t afraid to follow her dreams. Are you ready to awaken your inner-Estée and revolutionize your industry?